This weekend is my wife’s Birthday. She loves Birthdays. I’m not exactly sure why, but she loves them. Maybe I’m a party pooper but Birthdays don’t do it for me any more. To add to the pressure of delivering an exciting Birthday for my wife, she is picky. Now I love my wife dearly, but picking a gift that she likes, is close to impossible. I’m not sure if this is just my wife or whether we are just honest with one another. I suspect my mother, like many woman, smile and say “I love it” when they get awful gifts. I can only imagine the amount of wasted money that men spend picking gifts for their wives. Most of it never sees the light of day. Years of good intentions lay at the bottom of a drawer. 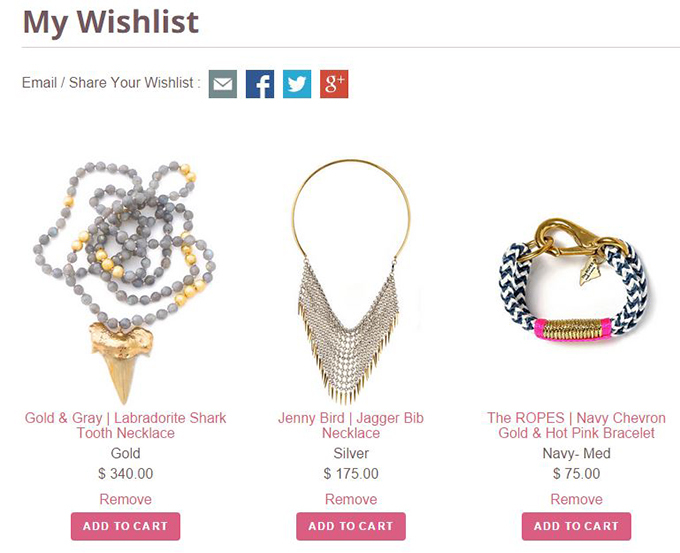 About two months ago, my wife mentioned that she wanted to add a wishlist to her online fashion jewelry site. 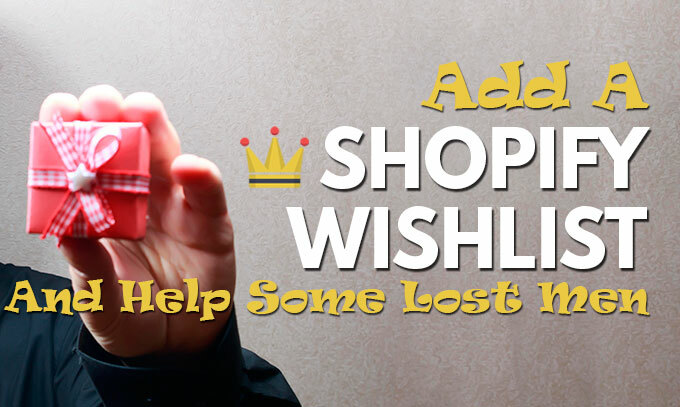 Like my current shopping conundrum, there are many other men struggling to find the right gift. Women: A hint is always appreciated. Having a hint or a specific target, saves us both the trouble of pretending. It results in a happier wife or girlfriend in the end. My wife has had people ask about this in the past and it only made sense. 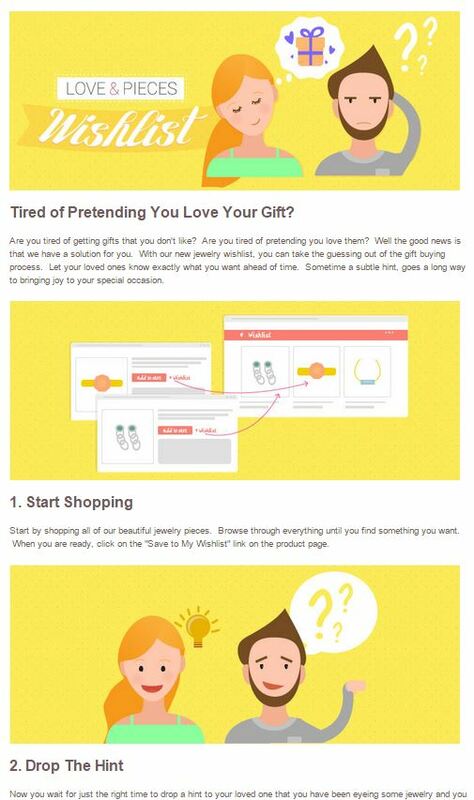 Why not make it easier for people to buy gifts on her site? What my wife wanted was simple. Guests browse her website, add jewelry they want to a “Wishlist,” and share it with their significant other. Simple enough, but I’m not capable of building this myself. The beauty of Shopify is that there are over a hundred thousand other people using the platform. This means there is an entire ecosystem around it. I don’t like to spend extra money on plugins or apps for my wifes Shopify store. I know the fees can be marginal but I believe these tiny fees add up. A little here, and a little there, makes a difference. As I mentioned I couldn’t build it myself and I wasn’t feeling adventurous enough to try using this guys version. So it was time to bite the bullet. So I headed over to the Shopify app store and did a simple search for “Wishlist.” To no surprise, up came some options to chose from. There in the middle was one that caught my eye. $2/month had my name written all over it. It had 41 reviews all over 4 stars. I went through the demo and it looked to offer everything that I needed. How can they sell it at that price you may ask? Labor costs is the answer. This particular app is published by a company out of India. This allows them to offer something at a fraction of the cost of US versions. It suite my needs and my budget. It looked attractive enough and appeared to work as advertised. I agreed to the extra $2 charge on the monthly Shopify recurring fee. It then took me directly into the Wishlist app page. There were two options. I could install it myself or they offered a FREE install option. If you are not comfortable inserting the code, you can have them do it for you. 1. I am comfortable doing it myself. 2. I was not so comfortable giving them access to do it for me. So I decided I would insert the code. The good news is that they provide simple step-by-step instructions. The wishlist install was extremely easy to understand and the instructions were detailed. I would recommend you give it a shot. The first step was to enable customer accounts in Shopify. 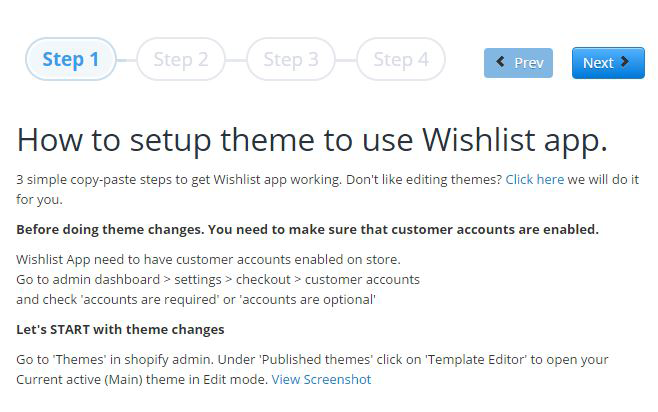 Accounts need to be enabled so people can save their Wishlists. This way they can login to view them and access them to share at a later date. Disregard their nice numbers. They don’t correctly correspond with the step numbers but you are paying $2. It works. 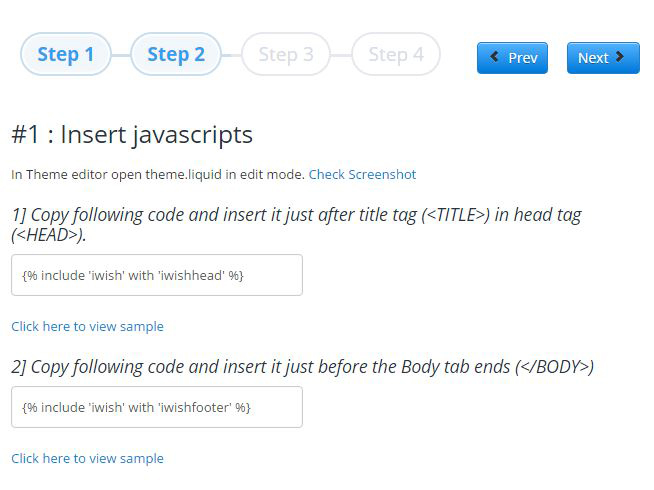 The next step was to insert these tiny lines of code into the index.liquid file. These lines insert all the code needed to run the functionality. 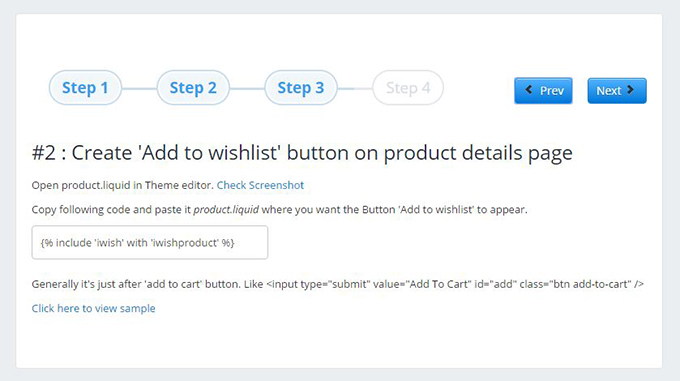 Next is to insert the link on your site where people will add products to their wishlist. In my wifes case we put it next to the “add to cart” button and added a little image next to it. I made sure that the link didn’t detract from the primary button. The main goal on the site is still to sell now and not to save for later. NOTE: I couldn’t help but think, as I inserted this link, maybe this was a bad idea. Maybe this was going to reduce the amount of items added to the carts and possibly negatively effect sales. I talked it over with my wife and she didn’t seem to think it was a problem. She feels people are in different mindsets. 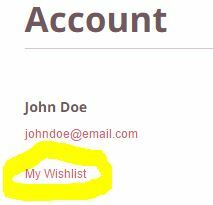 By adding items to the wishlist, its not making it more difficult to purchase. The only problem would be forcing people to make a decision at a point where you want to get out of the way. I addressed this by making the wishlist link less prominent. The last step was to add a link to the actual Wishlist on the site. I decided to add it in the user account page for now. It was still next to every “add to cart” button so it wasn’t exactly hidden. 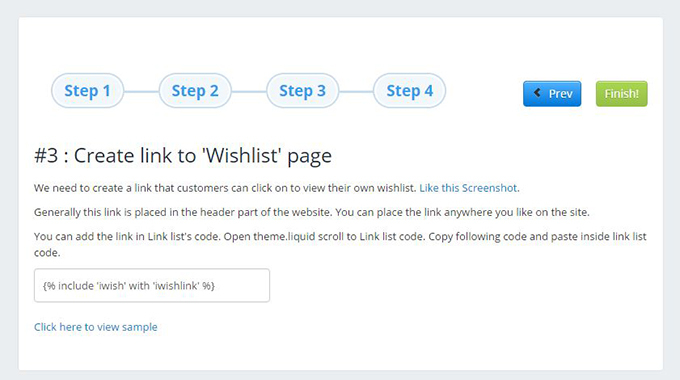 With the wishlist installed and looking pretty, it was time to create a page explaining how it worked. My wife wants to really showcase this feature and encourage people to use it. In order to do this she was going to need some instructions and some more information about her new wishlist. 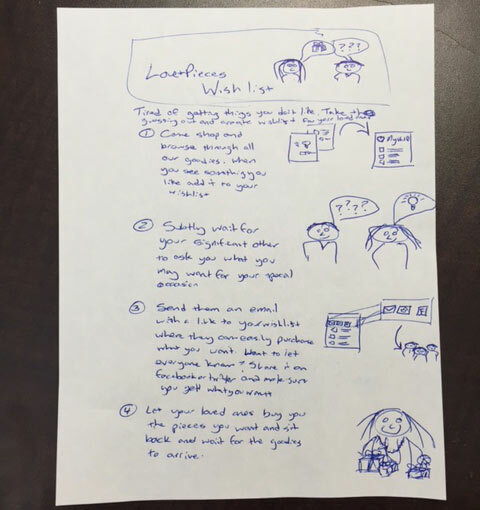 We whipped up a rough draft of what the page should look like. It was then sent to one of the amazing graphic designers my wife uses. Thanks Sarah and Fe 😉 You could always use one of these free blog graphic sites if you wanted to do it yourself. Here is how the page came out. It doesn’t all fit but you can see it here. From here she will then promote the functionality by email and on the site. This simple wishlist option should help women drive us wandering men in the right direction and best of all, increase her bottom line.